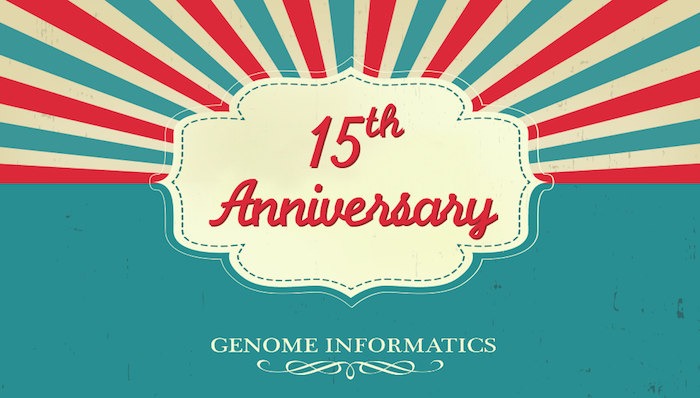 The Genome Informatics Group will celebrate its 15th anniversary next year. We would like all AGGI members and alumni to join our party. It would be great to see you all again! So take out your calendar and mark the above dates. We tried to contact all current members and alumni by e-mail. But some of our e-mail addresses might be out-of-date, or we might have missed you at all. If you haven't received an invitation yet, please contact Roland. To book a vehicle, contact Base Camp directly. The whole camp is reserved for us for now. But please book before January 15th to be sure to get a “room”. Our special arrangement is incompatible with the online booking system. So it would be easiest to call them, or write an email specifying your first choice, second choice etc. Keyword “AGGI birthday”. Better be quick to get your favorite - choices are remarkable! Prices start from 40 Euros for a sleeper cabin in the train and are about 65 Euros for a caravan – including breakfast, linen, towels.